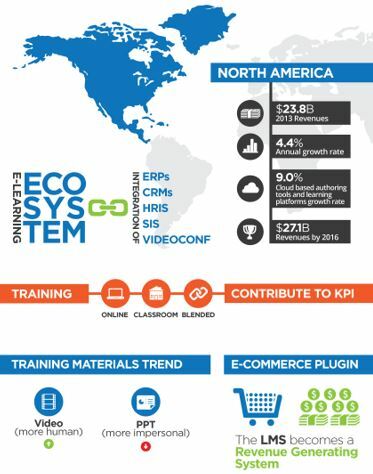 Toronto, Canada, May­­ 13, 2016 – Lingo Media Corporation (TSX-V: LM; OTCQB: LMDCF) (“Lingo Media” or the “Company”), an EdTech company that is ‘Changing the way the world learns English’ through innovative online and print-based technologies and solutions, is pleased to announce it has retained Christophe Pralong to initiate the marketing and sales of its ELL Technologies’ suite of products in the North American market. Mr. Pralong has more than 15 years of experience in marketing, sales, and sales management in the EdTech sector. He spent 13 years at global language learning software company Tell Me More Ltd. as VP & Managing Director for US & Canada. After Rosetta Stone acquired Tell Me More in 2013, he served as Sales Director, US Higher Education, Adult Education & Libraries for 2 years. Lingo Media recognizes that there is significant potential in North America despite the challenges of a highly fragmented market and the requirement to service many segments with diverse needs. With the right channel strategy and solid execution under Mr. Pralong’s leadership, the Company believes its products will achieve market acceptance and adoption. According to a 2014 study from Ambient Insight, the North American market for digital English Language Learning remains the world’s second largest (behind China), with an annual spend of approximately $350 million, despite many non-English speaking countries having greater needs and a higher motivation to learn English. While the latter countries exhibit a higher revenue growth rate, the large-scale digitization initiatives in the academic segments (K-12, higher education, adult education) and specialized forms of English training for the corporate and government sectors, make North America significant in terms of market size. “We are very pleased to have Christophe provide us with market insight and access as part of our expansion into the North American market. He brings tremendous experience and in-depth understanding of how to establish long term sales channels in the region,” said Gali Bar-Ziv, Lingo Media COO. While at Tell Me More, Mr. Pralong built and expanded the North American sales and marketing operation over a 13-year period, from a staff of 3 to a staff of 25, and significantly increased sales year over year. He managed all aspects of the operation, including sales, marketing, services, training, IT, administration, finance and HR. Mr. Pralong built channel partners and the direct sales team for the education sector (K-12, higher education, adult education and private language schools), enterprises (corporate learning for Fortune 2000 companies and small and medium businesses) and government (state, federal and military). “I am impressed with the proven pedagogy, innovative learning techniques, and the extensive range of English learning solutions that ELL Technologies has developed and successfully launched in Latin America. I am excited to help the Company break new ground in exploring the market and the sales potential for its English digital solutions, and to build distribution channels through my market knowledge and access in North America,” said Mr. Pralong.